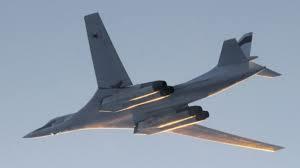 Above is one of the latest Russian Bombers that were flown from inside Russia to contribute to today's joint Russian and French attacks' on Raqqa. “Russia has deployed its fleet of strategic bombers to double the volume of airstrikes on Islamist targets in Syria, Defense Minister Sergey Shoigu has announced. Vladimir Putin has ordered a cruiser to coordinate operations with French naval forces in the Mediterranean. The head of the General Staff reported that the new phase of the anti-ISIS campaign will involve 25 long-range bombers flying out of airfields in Russia. Meanwhile Putin gave a news conference to answer to the current global situation, across Europe, the Middle East and the world ­ no teleprompter just straight and open answers to all questions from the floor at the G-20. This is a masterfull response to everything that's been happening on virtually all fronts. This is also a must see for anyone that cares about the current global-threats as to the many 'questions' that have been created to frustrate or diminish Russia and their positions on everything that's been 'at issue' until this moment in time.